STAR TREK. See the Klingon Battle Cruiser's lights illuminate. Battery operated, batteries included. 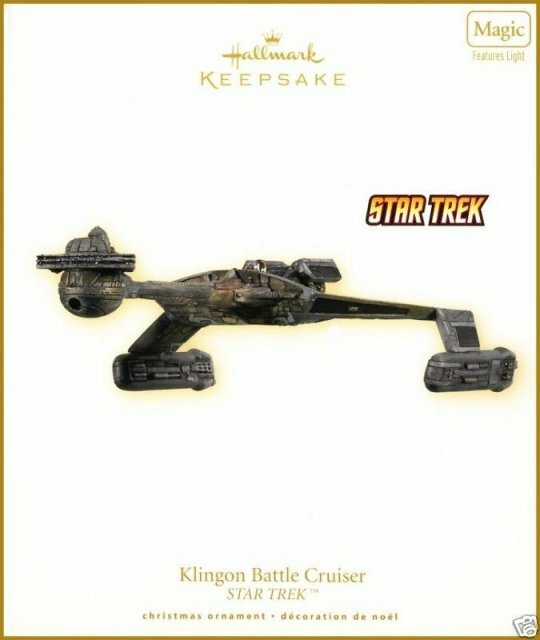 5"W.
Items Similar To "2009 Hallmark KLINGON BATTLE CRUISER Star Trek Christmas Ornament"